A blue moon was to grace the skies of Bali on New Year's Eve. 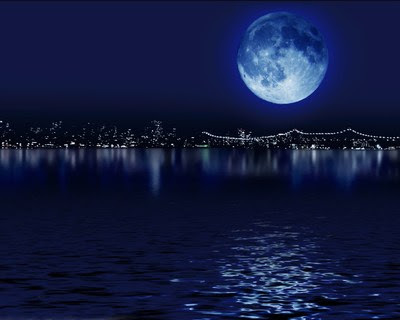 A blue moon is caused when there are two full moons in one month. Check out the article I found HERE at Bali Blog. Image also taken from the same article. I am also happy to share that the Little River Roasting Company back home in Spartanburg, South Carolina sent me a message on Facebook stating they would be featuring a limited edition Organic Bali Blue Moon coffee all New Year's Eve Day...how cool is that?